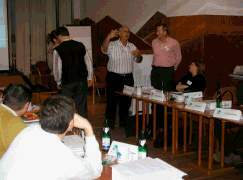 Interpreting at business meetings, installations, commissioning, trainings, meetings, interviews, press conferences. Interpreting during Board of Trustees and Shareholder's Meetings of various companies. Interpreting in legal matters.